What is it about someone that makes them a pleasure to work with? How is it that some people manage to build effective relationships, even with those who don’t always make working together quite so enjoyable? Effective relationships are built on a handful of practices, including unconditional positive regard, time, communication, and integrity. In this session, you’ll have the chance to take a close look at common characteristics of the people who build effective relationships with those around them, and how to improve your own skills in this area. Learn to recognize and practice looking at others through a more positive lens. Make a habit of spending your time and theirs on what matters most. Gain a handful of tools to enhance your communications, and hone in on key ways to demonstrate integrity. Through anecdotes, stories, examples, skill practice, and individual and small group activities, this session allows audience members to reflect on their own skills and habits, and identify improvements they need to make in order to build effective and lasting relationships. Learn (and practice!) tactical tools and techniques to improve communication, strengthen relationships, and build trust. You’ll leave with at least three things you can apply right away in interactions with your peers, your team, your business partners, and your customers! Identify the common habits of effective relationship building. Gain specific tools and techniques to improve in these areas. Practice common situations to improve your success when you encounter them in the future. Andy has over 43 years government related experience, 25 years military service US Army, 9 years as a Federal Government/DoD contractor, 8 years as the Nebraska PTAC Program Director, and into his first year as a CIRAS Government Contracting Specialist. Since November 2014 he has served Iowa businesses located in the 38 western Iowa counties as a Government Contracting Specialist. This involves procurement counseling and assisting businesses interested in selling their goods or services to town, city, county, state and federal governments. He is a member of the Siouxland Industrial Roundtable, the Sioux City and Council Bluffs Chamber of Commerce’s, the Association of Procurement Technical Assistance Centers (APTAC), Council Bluffs Growth Alliance, Northwest Iowa Development (NWID), and Southwest Iowa Business & Industry Quorum (SWIMAQ). He earned his undergraduate degree from Tarkio College, Tarkio, MO, his graduate degree from Central Michigan University, Mount Pleasant, MI, graduate of the U.S. Army Command & General Staff College, Fort Leavenworth, KS, and graduated from the Nebraska Chamber of Commerce Leadership Program. Andy is a certified Contracting Assistance Specialist (CCAS) by the Association of Procurement Technical Assistance Centers (APTAC), a certified Verification Counselor by the U.S. Department of Veterans Affairs, and currently enrolled in the Federal Contractor Certification (FCC) program, Level IV, track III. Melissa was a former federal government contracting officer for the Army Contracting Command Rock Island, specializing in contingency contracting in Afghanistan, Iraq, Kuwait and Qatar from 2008 to 2014. She was responsible for soliciting, awarding and administering requirements ranging from Security Services during the Iraq Drawdown in 2011 to Intelligence Support Services in Afghanistan. Prior to 2008, she worked as a contract specialist in the Ammunition Division at Army Sustainment Command (ASC) and Tank Armament Command (TACOM), focusing on a wide variety of purchase orders and long term contracts. Ms. Burant is intricately familiar with the federal procurement process, having awarded contracts ranging in value for $30,000 to $499M. Melissa holds a B.S. from Arizona State University, and an M.B.A. from St. Ambrose University. Julie Fagle, a government contracting specialist based out of the Cedar Rapids area, provides technical expertise, counseling, and training on government contracting in the local, state, federal and subcontracting sectors. She was formerly employed at Rockwell Collins where she led subcontract management efforts for a large government program and gained extensive experience in supplier assessments and government regulation compliance. Julie received a BA in Business Administration from Upper Iowa University. She is certified as a contract assistance specialist (CCAS) with the Association of Procurement Technical Assistance Centers (APTAC), holds an associate’s certificate in contract management with George Washington University, and is a certified trainer with the Center for Verification and Evaluation (CVE) Federal Contractor Certification (FCC) program. Government contracts attorney Steven Koprince, the Managing Partner of Koprince Law LLC, focuses his practice on helping small businesses navigate the federal marketplace. Steven has spoken at industry and professional events across the country. Steven is the author of The Small Business Guide to Government Contracts (AMACOM Books, 2012), a compliance guide designed to help small companies navigate the federal marketplace, and blogs regularly on small government contracting issues at SmallGovCon (smallgovcon.com). Steven is a graduate of Duke University and the Marshall-Wythe School of Law at the College of William & Mary. Paul Gormley has been a project manager at Iowa State University Center for Industrial Research and Service (CIRAS) for 15 years. His primary goal is to help companies develop innovative, sustainable paths to profit and communicate what makes them great. He has a BS in Electrical Engineering and an MBA from Iowa State University. Prior to joining CIRAS, Paul worked as an Electrical Engineer, first designing and selling commercial and government building energy management systems, then he joined the Winnebago Industries product design team. At CIRAS he has worked with dozens of companies helping them learn how to more effectively develop new ideas for growth and profitability, craft more relevant market messages, and produce marketing strategies to capitalize on Internet-based opportunities. 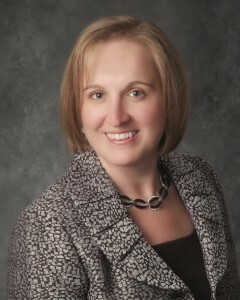 Pam Russenberger is the Program Director for CIRAS’ Procurement Technical Assistance Program (PTAP). In this role, she administers the statewide PTAP and provides technical expertise, counseling and training on government contracting to companies in central Iowa. Prior to joining CIRAS, Pam was employed with Lockheed Martin and worked on several government programs. While at Lockheed Martin, Pam held the positions of financial analyst, master planner and, lastly, contracts manager on efforts ranging in several hundred to several billions of dollars. Pam obtained a BS in Political Science from Minnesota State University and a MBA degree with a focus in Change Management from the University of Colorado. Pam is certified as an associate contracting assistance specialist with the Association of Procurement Technical Assistance Centers (APTAC), holds the Essentials of Government Contract Management Certificate from Villanova University, is a six sigma green belt and is a Certified Verification Counselor with U.S. Department of Veteran Affairs. Beth White is currently a Government Contracting Specialist with the Center for Industrial Research and Service (CIRAS) at Iowa State University, (many reference as the “Iowa PTAC”). In this role, Ms. White provides no charge one-on-one counseling and training on all aspects of Government contracting to Iowa businesses. She assists businesses with a variety of market research, marketing, and bidding opportunities and helps companies position themselves to be successful in the Federal, State or Local Government market segments. Prior to joining ISU, Ms. White spent 13 years as a contract specialist for the Army Contracting Command at the Rock Island Arsenal (RIA). As a contract specialist, she was responsible for cradle to grave procurement functions for a number of supplies and services supporting contingency operations, as well as supplies for the RIA Joint Manufacturing Technology Center (JMTC), the Department of Defense’s only vertically integrated metal manufacturing complex. Ms. White also performed the duties of the RIA JMTC Assistant Director of Small Business Programs, managing the agency’s small business program goals, educating the contracting workforce on small business issues and regulations, as well as acting as an advocate for small businesses that were marketing and/or doing business with the JMTC. Ms. White is a Level 3 Certified in Contracting by the Department of Defense, a Level 3 Certified Contracting Assistance Specialist (CCAS) with APTAC, Certified Verification Counselor with the VA, and holds a BA and MBA from St. Ambrose University. Rob Williams is Program Manager for UNI MyEntre.Net at the University of Northern Iowa and Lead Liaison to the Iowa Economic Development Authority for the IASourceLink initiative. For the Entrepreneurial Regions program, Rob serves as lead community educator on how to create and cultivate an entrepreneurship support system utilizing best practices in economic development and various national entrepreneurship development models. Prior to his current role, Williams served as the first Iowa Business Concierge at MyEntre.Net. He provided an ‘ask-us-anything’ service to Iowa small business owners combining complex data mining and market research services with high quality referrals for business owners. Rob attended the University of Northern Iowa, earning a BA in Public Administration with emphasis in Community & Regional Development in 2008. Rob has certifications from the National Economic Gardening Institute in both Social Media and Market Research (EGcSM & EGcMR). He is a 2010 graduate of the Heartland Economic Development Course, and an active member of the Professional Developers of Iowa. Mary has thirty years in the purchasing arena as a buyer in manufacturing; a purchasing supervisor at a municipal medical center; and as a purchasing agent at the Iowa Department of Transportation. She is experienced in construction and service proposals and facilitates customer service and communication seminars for various audiences. She is also a Center for Verification and Evaluation (CVE) Certified Assistance Counselor through the Department of Veterans Affairs. Mary holds a BA in Speech Communications with an English minor from Iowa State University.